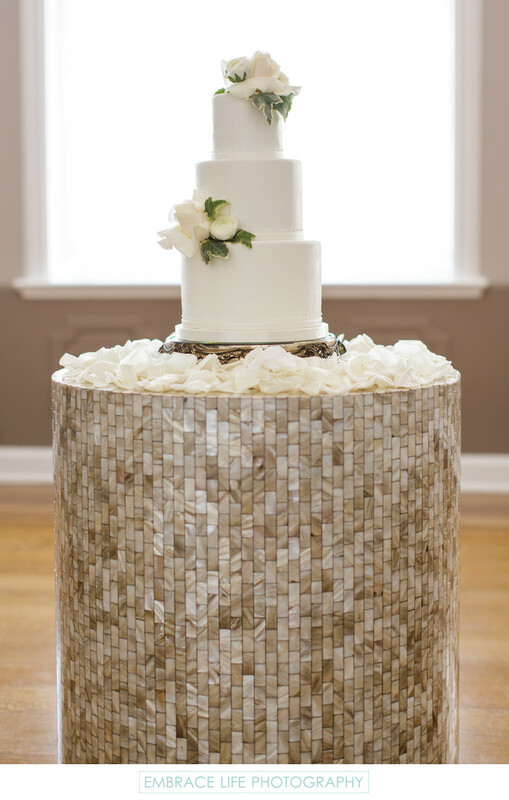 In the Royal Suite of the Beverly Hills wedding venue, the Four Seasons Beverly Wilshire, an understated, elegant wedding cake sits atop a small, silver cake stand and beautiful mosaic table with a layer of white rose petals in between. The cake is decorated with two small cluster of white roses. For an intimate elopement, this petit cake was able to make a big impression because of the beautiful styling and presentation.